The new year approaches and that means it’s time to look at my shelves, look at my (far too numerous) lists of books I’m meaning to read, and decide what focus I want to give my reading for 2014. Here are my selected challenges, giving you some hints at what reviews you can expect in the next 12 months! So you all know I’m a bit of a fan of retold fairy tales, right? Even though I published one this year, I don’t feel I read enough…so I’m putting it on the challenge list again. Officially I’m aiming for Lady in Waiting, 7-9 books. I hope to read more like 12-15, but only YA and Middle Grade officially count, and I’d rather keep some mental slots open for grown-up retellings. This is my own personal variation on the ToBeRead Pile Challenges that float all over the web. You see, I don’t actually have a pile because I nearly never buy a book unread. But I do have a list, mostly thanks to all you lovely bloggers out there, and that list has been longer than I like it to be for the last year or more. There’s so many wonderful books on it that I want to read but haven’t got to yet! This is a pretty loose goal, no numbers involved, but I do hope to cut this list way down–not to zero, because then what would I read? But down. You may remember that I’ve been working on my VERY LONG list of incomplete series for the past 2 years! As a result…well, more on results when I get to the 2013 Challenges Results post! 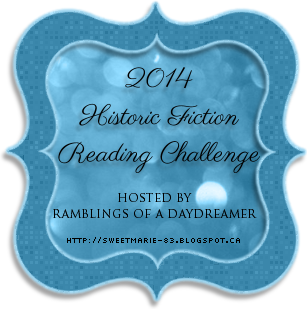 But I will tell you that I am not planning on that challenge again next year…only I still have several “duets” that I’ve only read half of, so the Prequel and Sequel Challenge is a perfect fit for finally getting to those! This is a genre I like a lot, but don’t seem to get to all that often–and it’s just about the only favorite genre NOT covered by Carl’s seasonal “experiences”! All the same, I’m going relatively low-impact here, and just aiming for the first level, “Testing the Bonds of Time,” reading 1-5 books. And of course there’s no question that I’ll be participating again in the various seasonal experiences over at Stainless Steel Droppings. We’re right in the middle of the Sci Fi Experience, spring brings (my very favorite!) the Once Upon a Time Challenge, and in the fall there’s the Readers Imbibing Peril Challenge–and a good time is always had by all! Sounds like you’ve got your work cut out for you. Hope you have fun reading next year. 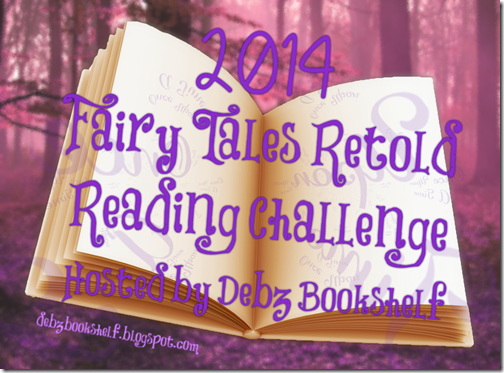 Thanks for signing up for the Fairy Tales Retold Challenge! These sound so very fun! Especially Fairy Tales Retold, and finishing series. Just got off the phone with a guy who is putting together a big challenge database option that is going to be really fun. Can’t wait to post about it when he gets it up and running. Hard to believe that we’ll blink and Once Upon a Time will be upon us. Don’t say that! I still have lots of Sci Fi to read!!! Your reading goals are so well-thought out! I received a Kindle for Christmas and my goal is to buy and download to it some of the books on the “to read” list I have in my iPhone so I can get started going through those. They are all different subjects and genres, but all that I heard or read about and thought I might like to read. I want 2014 to be the year I get to at least some of them!